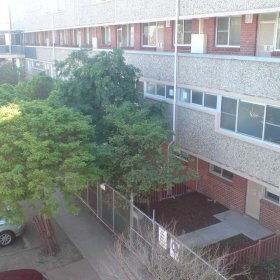 Lambert & Rehbein was commissioned by Colcept Pty Ltd initially to provide a report accessing the condition of existing sanitary plumbing and drainage and cold & hot water services for the existing site containing 109 apartments with 11 different unit types. The apartments are contained within 4 wings of 4 storeys each. There had been some recent projects at the site, with many apartments remaining unaltered for 40 years except for minor maintenance. There are 11 different types of units. Lambert and Rehbein was further engaged by Colcept Pty Ltd to implement the recommendation in our report. Stage 1 design documentation of the site consisted of the internal upgrade of 36 apartments of 2 types (1 & 2) (half of which are mirrored imaged) which are double storey 3 bedroom apartments. The upgrades include new bathrooms including laundry facilities, new kitchen layout and new sewer stacks and services, connection of new internal hot and cold to new fixtures and extension of gas for hot plate and reconnection of new gas heater. The construction stage services for Stage 1 works (8 units) was completed. Construction Stage 2 works (18 units) is scheduled to commence in 2008, followed by the Construction Stage 3 works (10 units) scheduled to commence in 2009.